The ACP acknowledges the on-going and enthusiastic engagement with Continuing Professional Development by practitioners in the Early Years Sector. While it is easy to record formal CPD we also acknowledge the many hours spent engaging in professional development activities in both non-formal and informal capacities and consider these to be part of the minimum 40 hours. To give clarity the following guidelines have been created. 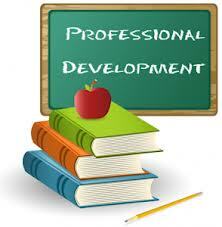 Professional development may be seen as a dynamic process of formal , non-formal and informal learning. The National Qualifications Authority of Ireland identifies formal, non-formal and informal learning for the purpose of developing a national approach to the recognition of prior learning. Formal CDP can be evidenced through a compilation of Certificates, Diplomas, Degrees, Masters or PhDs. Non-formal CDP can be evidenced through certificates of attendance/completion or signed off by organiser/host. Informal learning is never organised, has no set objective in terms of learning outcomes and is never intentional from the learner’s standpoint. Often it is referred to as learning by experience or just as experience. The idea is that the simple fact of existing constantly exposes the individual to learning situations, at work, at home or during leisure time for instance. Examples on Informal CDP include: reading a childcare book, attending staff meetings, visiting other childcare settings, etc. Evidence of engagement in informal CDP lies with the practitioner. The above are designed to act as a guide to areas that can be included in recording your CPD rather than an exhaustive list. We fully believe our members will have no difficulty in reaching the forty hours minimum requirement on an annual basis and hope it will act as an acknowledgement of your commitment to lifelong learning in the interests of providing a quality, professional service for children and their families. Members are advised to keep a record of thoughts, reflections and learning that they have achieved through these various activities as this learning can be included in developing Professional Development Portfolios that will support the recognition of prior learning (RPL) process.